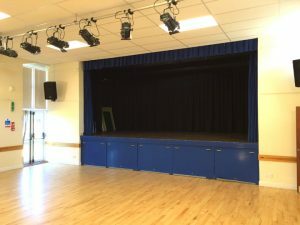 The stage is the full width of the Main Hall and is large enough to cater for both drama and musical events. 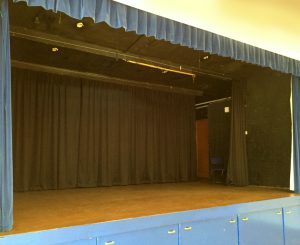 It has its own stage entrance. A portable staircase is available for use within the Main Hall. 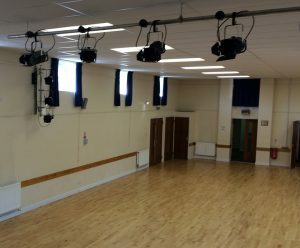 We have recently installed a professional lighting rig and sound system.